aa da-da-da dam... Smile, accuse me of being euphoric, but even after listening to so many concerts, this particular recording is one of the most moving moments that I have ever been privileged to witness at the Maulbronn Monastery. A breathless, tangible thrill from the first touch of the bow to the very last note. What really makes this recording dramatic is the way the composers complement each other perfectly. This composition by Schubert is one of the most beautiful in the entire quartet literature, and the ambience of the Maulbronn Monastery lends a rare prosaic expressiveness to this interpretation. The sheer class of the Amati String Quartet is shown in the way the recording captures not just the artistic perfection of their performance, but the atmosphere of the hall as well - indeed, the artists become totally carried away and create a work of art so moving that it literally - and audibly- takes the audience's breath away. Der Tod und das Mädchen ("Death and the Maiden") by Franz Schubert gives us dramatic, passionate elation paired with an alarmingly serene wisdom. It was composed during Schubert's late phase (1826-28), which also includes such works as the song-cycle Winterreise ("A Winter's Journey"). 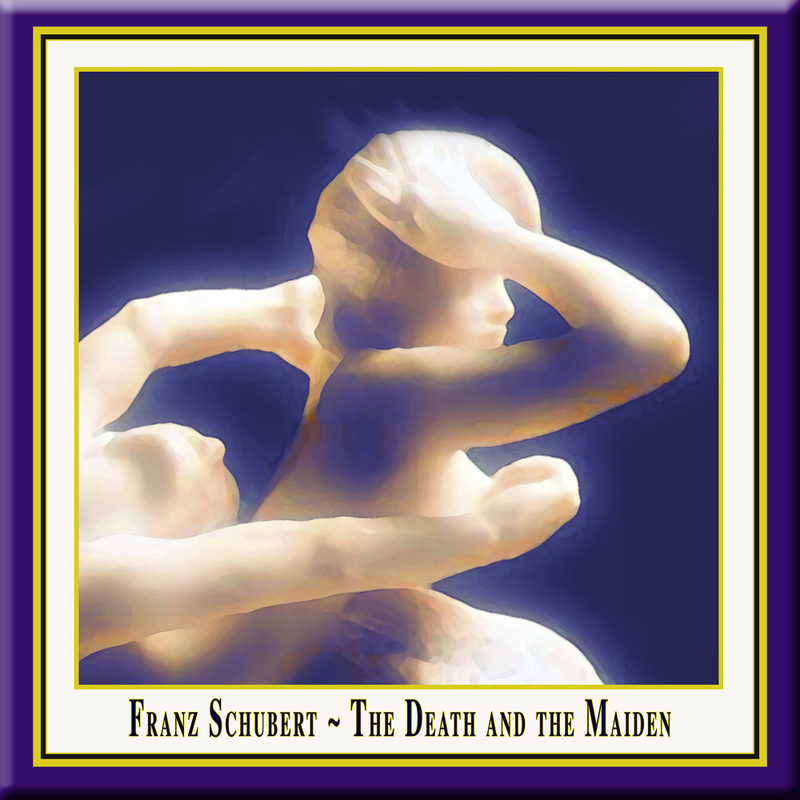 Schubert's dance of death, based on the poem by Matthius Claudius poem, inspires few clear moments of comfort and confidence, and then only in a major key variation and in the Trio. There is nothing programmatic about it, even though the listener is granted considerable insight into Schubert's frame of mind in his later years. he Amati String Quartet came into being in 1981 and was shortly afterwards awarded the Evian 'Premier Grand Prix du Concours International' and the Art Prize of the City of Zürich, as well as first prize at the Karl Klingler Competition in Munich. Their CD recordings of the Schostakowitch Quartets 3 & 7 and Szymanovski's Op. 56 and Ravel received the German Record Critics' Award. The recording of the Haydn String Quartets, Op. 50 won them the French award 'Choc du monde de la musique'. In recent years, the Amati Quartet has chalked up one success after another, with performances at the Musikverein in Vienna, the Amsterdam Concertgebouw, London's Wigmore Hall, the Théâtre des Champs-Elysées in Paris, the Palau de la Musica in Barcelona, the Kölner Philharmonie, Berlin's Konzerthaus and New York's Carnegie Hall.